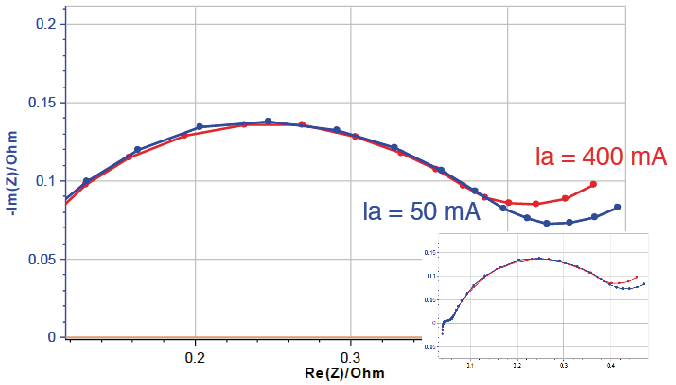 Electrochemical impedance spectroscopy (EIS) measurements at two different AC amplitudes (50 mA & 400 mA) are performed on the same Li-ion battery cell. 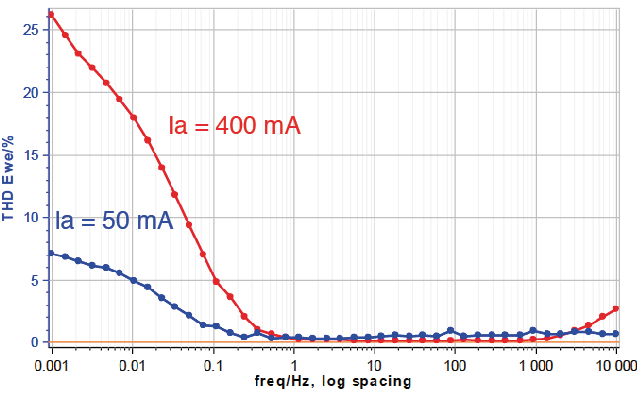 The non-linearity of the cell at low frequency is evident in the Nyquist plot above. Click here to view the online video detailing how Bio-Logic’s quality indicators, THD, NSD & NSR can help with the validation of EIS measurements. Click here to view a Z fit tutorial by Bio-Logic. Please don’t hesitate to contact us if you are based in Scandinavia and would like to have more info about the THD.